A Flexible Spending Account (FSA) is a plan designed to help you manage the rising costs of health care by allowing you to set aside money to pay for out-of-pocket medical expenses. You can think of it as a personal account just for health care expenses. You set aside money on a pre-tax basis — this means as long as you use the money for eligible medical expenses, you won’t pay income taxes on it. Download a list of eligible medical expenses or use our Election Worksheet to estimate your health care costs and decide how much to put in your FSA. Paying fewer taxes means you keep more of the money you make. In the example pictured, Jane estimates she will spend $2,400 on medical expenses for herself next year. Here’s how she can save with an FSA. 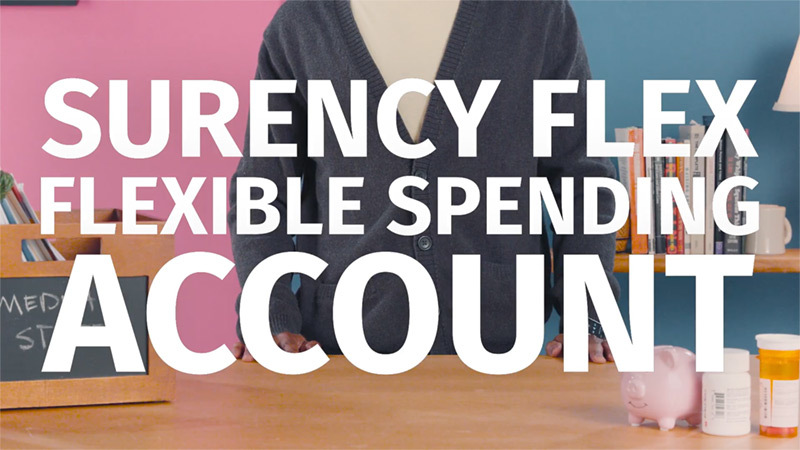 Participating in a Surency Flex FSA is easy. Once you’ve enrolled and set your annual election amount, that amount will be automatically deducted from your paycheck in equal increments throughout the year before you pay federal, state, and FICA taxes on the designated amount. Your entire election amount is available to you at the start of the Plan Year. When you are ready to use the money in your FSA for an eligible medical expense, just swipe your Surency Flex Benefits Card. If you don’t have a Surency Flex Benefits Card or you prefer to pay upfront then be reimbursed, you can file a claim electronically from the Member Account or the Surency Flex Mobile App, and you will be reimbursed with money from your FSA as long as you have funds available. To avoid forfeiting any money, make sure all funds in your FSA are used by the end of the year. Estimate your possible tax savings with this Flexible Spending Account (FSA) Calculator.